M. M. Kumar And H.S. Bhalla, JJ. M. M. Kumar, J.-This petition shall dispose of W.T. A. Nos. 7, 8 to 19 of 2003, as common question of law and facts have been raised. 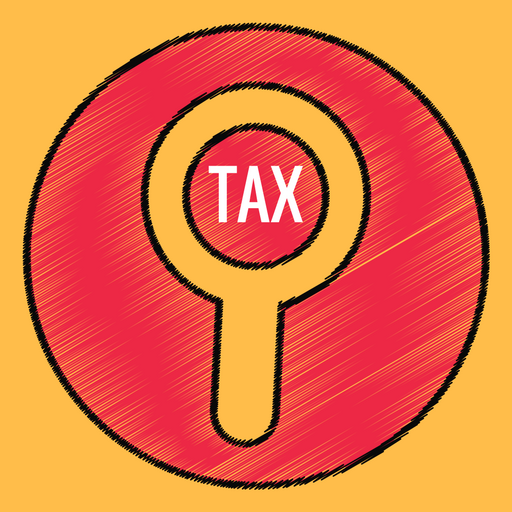 All the appeals have been preferred by the assessees under section 27A of the Wealth-tax Act, 1957 (for brevity “the Act”) against the order dated February 4, 2003 passed by the Income-tax Appellate Tribunal, Chandigarh Bench “B” (for brevity “the Tribunal”) in Wealth-tax Appeal Nos. 277 to 285/Chandi/91 for the assessment years 1972-73 to 1980-81, Wealth-tax Appeal No. 95/Chandi/90 for the assessment year 1981-82, Wealth-tax Appeal Nos. 286 to 288/Chandi/97 for the assessment years 1982-83 to 1984-85. “(i) Whether in the facts and circumstances of the case, the order of the Tribunal dated February 4, 2003, is based on misappreciation of the prior findings of the same points and of facts and law involved in the case and liable to be set aside ? (ii) Whether in the facts and circumstances of the case, the order of the Tribunal dated February 4, 2003 is legally sustainable ? 3. The brief facts of the case are that the appellant is an individual and belongs to the royal family of Maharaja Ranjit Singh of Patiala. The Tribunal had initially decided these appeals on October 21, 1998. One of the common issues involved in these appeals has been about the valuation of the then residential property located at Leela Bhawan, Patiala, which has been used by the appellant as such. For the purpose of valuation, the Department had bifurcated the residential land bounded by four walls of the property into different segments and adopted different rates of land. The house has been in existence over the past 70 years and in the earlier years ending on March 31, 1970 and March 31, 1973, the Tribunal in Wealth-tax Appeal Nos. 275 and 276/Chandi/91 had adopted the uniform rate of land for the entire land within the boundary wall of the residential property. 7. It is, thus, evident that the Tribunal recalled the order dated October 21, 1998 (P-3) for a limited purpose of determining the valuation of land appurtenant to the residential house in question. 9. Mr. Akshay Bhan, learned counsel for the appellant, has argued that contradiction in the impugned order dated February 4, 2003 (P-5) is writ large. According to the learned counsel, the approach of the same Bench of the Tribunal is very strange inasmuch as at one time it has concluded that paragraphs 2.7 and 2.9 are contradictory to each other and later it refuses to accept any contradiction. Learned counsel has maintained that both things cannot be right and the mutually destructive approach cannot be permitted in the orders of the Tribunal. He has submitted that the impugned order in fact amounts to reviewing the order dated February 1, 2002 and dismissal of the miscellaneous petitions filed by the assessee which have been earlier allowed. 10. Ms. Urvashi Dugga, learned State counsel for the Revenue has attempted to support the impugned order and has argued that the value of the land appurtenant to the residential house Leela Bhawan belonging to the assessee was taken to be 13,689 sq. yds. The value of the land was held to be frozen by taking into account section 7(4) of the Wealth-tax Act. The remaining land has been categorized as commercial land and residential land sold in subsequent years. The aforesaid land was valued at different rates. However, the learned State counsel has not been able to clarify and explain the apparent contradiction in paragraph 2.7 which clearly states that the value of the residential house and land appurtenant to it was to be made as per the provisions of section 7(4) of the Act. Whereas in paragraph 2.9, the Tribunal has asked for the classification of the land into two different categories. 11. Having heard the learned counsel for the parties, we are of the view that the Tribunal has not proceeded on a sound reasoning. It amounts to blowing hot and cold in the same breath. It has come on record in the order dated February 1, 2002 (P-4) that in paragraph 2.7 and paragraph 2.9, there are mutual contradictions which were required to be reconciled. The aforesaid contradictions were pointed out at the instance of the assessee when he filed miscellaneous petitions. However, when the main appeals were taken up, the Tribunal recorded a finding that there was, in fact, no contradiction which would be evident from the perusal of paragraph 5.1. The Tribunal has recorded “we do not find any merit in the submissions of the learned counsel that there was contradiction in the findings recorded by the Tribunal in paragraphs 2.7 and 2.9 of its order”. We cannot endorse this line of reasoning. The same paragraphs of the order dated October 21, 1998, were found to be contradictory by the same Bench of the Tribunal in its order dated February 1, 2002 and it changes its view on February 4, 2003, by stating that there was no contradiction. 12. The approach adopted by the Tribunal in the impugned order smacks of review of the earlier order passed on February 1, 2002. There is no express power of review and therefore the impugned order is not sustainable in the eyes of law. We are further of the view that the Tribunal should have made efforts to reconcile paragraphs 2.7 and 2.9 figuring in the order dated October 21, 1998, instead of writing a perfunctory order. We wish that the Tribunal should have applied its mind closely to the whole controversy and had creased out paragraphs 2.7 and 2.9 in the order dated October 21, 1998. 13. In view of the above, the order dated February 4, 2003 is set aside. The Tribunal is directed to reconsider the matter in accordance with law and decide the issues on the merits. The needful shall be done within a period of three months as the issue pertains to the assessment years of 1971-72 onwards. 14. The appeals stand disposed of in the above terms. This entry was posted in Section 24, Wealth Tax Act and tagged 334 ITR, In favour of Matter remanded, powers of ITAT to examine facts, Punjab And Haryana High Court.